Millennials are more prone to lose money in financial scams than their elders, according to newly released government data. The graph relates the scenario. 1. Cambridge Analytica scam fallout: Can #DeleteFacebook lead to #DeleteEcommerce? With the revelation that Cambridge Analytica accessed private Facebook data of users and deployed it to help politicians win elections, Facebook has faced a backlash. There is a campaign to delete Facebook profiles. But it's not just about your votes or Facebook—the Cambridge Analytica scandal can trigger a mass flight from the internet, causing a bust in e-commerce market which is expected to replace a big part of the brick-and-mortar retail in less than a decade. The fact that Cambridge Analytica used the data it collected for the election campaign of Ted Cruz also for the presidential campaign of Donald Trump shows your psychographic profile can be put to multiple uses and land with various interested parties. Cambridge Analytica harvested 50 million Facebook profiles of Americans to construct their psychographic profiles. This data can travel from politicians to private companies to governments. Imagine your prospective employer getting access to all that you have been searching or buying online! If Cambridge Analytica can create your psychographic profile to mold your political opinion, your prospective employer can use the same psychographic profile to assess you the way you won't want. No one would want one's recruiter to make an opinion of oneself on the basis of one's life on social media. And your recruiter is not the only one who could be interested in your psychographic profile. It could also be an insurance company or a country where you want to immigrate. The US has just announced that it would ask all those who apply for a visa to provide details of their social media handles and emails. A CEO buying medicine online for heart attack can be refused a higher job by an employer who has access to his psychographic profile. A bank can deny you a loan even when your papers are in order just because it gets to know from your psychographic profile that you could be fired from your job and you have spent a lot of time looking for a new job without success. A company in possession of millions of psychographic profiles can strike deals with banks, insurance companies, advertisers, security agencies, private detectives and even with divorce lawyers. Now that people know even Facebook data can be stolen by big, innovative companies working with insidious motives, their faith in the internet as a safe space will be further shaken. The United Nations trade and development agency UNCTAD has said that the scandal over data privacy is a tip of the e-commerce iceberg. Wary consumers will now avoid making online purchases since there is no guarantee that their purchase data will not land somewhere they just don't want. For India, where it took a long time—and a big shock of demonetisation—to veer online consumers away from cash-on-delivery model to digital payments, the Cambridge Analytica scandal can stall the e-commerce growth. The mobile wallet industry will grow at a compounded annual growth rate of 148 percent over to $4.4 billion by 2022, according to Capgemini’s World Payment Report 2017. As cheap smartphones and low data prices help mobile internet to spread in rural and semiurban areas, Indian businesses are looking at an e-commerce bonanza. More people in the hinterland using their smartphones to make purchases will mean a sudden explosion in e-commerce. That's why Mukesh Ambani has chalked out ambitious retail business plans. In a huge embarrassment for the Maharashtra government, the Bombay High Court on 21 March ordered the release of celebrity lawyer Rizwan Siddiquee who was arrested in the infamous Thane Call Details Record (CDR) scam, in which names of several celebrities have tumbled out. Siddiqui, arrested by in Thane on 16 March and remanded to custody till 23 March, was ordered to be released by Justice SC Dharmadhikari and Justice PD Naik. "They (police) have acted in a high-handed manner and failed to follow the due process of law," the bench observed, and also directed the state government to inquire into the police action and act against them if they were found to be wrong in the episode. The court order came on a habeas corpus plea filed by the lawyer's wife, Tasneem Siddiquee, challenging his arrest in the CDR scandal. "I had full faith in the judiciary. You can check the court order... If they found the police action against me fair or not," Siddiquee said briefly after he was released from police custody on 21 March. The court also found that while Siddiqui had been served a notice on 15 March to remain present on 17 March at 11 am for investigation, he was arrested even before he could present himself before police. Meanwhile, an investigation into the CDR scam had thrown up some more names of celebrities including National Award winning actress Kangana Ranaut, who reportedly shared the number of actor Hrithik Roshan, who she claimed was her former boyfriend, with Siddiquee. The celeb lawyer also represents acclaimed actor Nawazuddin Siddiqui who was summoned last week for the CDR probe. Besides, the name of actor Jackie Shroff's wife Ayesha Shroff had also come up after she allegedly shared the number of her business partner and Bollywood actor Sahil Khan with Siddiquee, according to the investigators. They said the motives behind the sharing of these numbers were being investigated and do not rule out the possibility of some more big names cropping up in the future. The entire CDR scandal, which erupted in late January, made national headlines after the arrest of India's first woman private detective, Rajani Pandit, in early-February. Pandit and at least four other accused were booked for acquiring the CDRs, telephonic conversations records and other valuable information illegally for selling to clients, with the racket reportedly flourishing undetected for nearly five years now. The investigators also suspect the sensitive information may also have been used for blackmailing or extortion purposes and are focusing the probe on her clients and contacts, unscrupulous employees of some mobile service provider companies and even the involvement of some police personnel in the racket. Thane Police Commissioner Parambir Singh had already made it clear that the investigations will span across other states with suspicions of blackmail and extortion of politicians, businessmen, industrialists, and personalities from the film and glamour world. 3. PNB Scam- Can Data And Analytics Clean Up The Mess? India’s biggest banking fraud begets an important question – should data related to fraudulent loans, cash flows, diversion of funds go unrecorded and even worse, be treated as non-performing assets, emphasizes the Reuters report. At a time when India's private banks are developing use cases around Blockchain technology and have floated virtual agents as a new touchpoint for Indian users, state-run banks are struggling with risk management and auditing systems, noted Ila Patnaik in an IE editorial. Yet again, there is a clamor for reform in the PSU banks that need to put in mechanisms for accountability and risk management. A recent research paper from Professor Madan Lal Bhasin, Professor, School of Accountancy, University Utara Malaysia emphasizes the Indian banks are most vulnerable to frauds and one of the major issues is that in these cases, it is difficult to detect collusion and investors need to be more vigilant. According to an RTI query, the amount spent on tea in the office of Devendra Fadnavis in 2016-17 was Rs.1,20,92,972. That amount jumped to Rs. 3,34,64,905 the next year. The Congress has alleged a 'chai scam' in Maharashtra Chief Minister Devendra Fadnavis's office after an RTI reply showed a surge in the money spent on serving tea. The RTI or Right To Information petition was filed by youth Congress leader Nikhil Kamble. "The Chief Minister is only doing chai pe kharcha (a term coined by the BJP for its hugely successful voter outreach in 2014 inspired by Prime Minister Narendra Modi's tea-selling past) but no real work," said Mumbai Congress Chief Sanjay Nirupam. According to an RTI query, the amount spent on tea in the office of Devendra Fadnavis in 2016-17 was Rs. 1,20,92,972. That amount jumped to Rs. 3,34,64,905 the next year. The amount spent on tea every month was Rs. 27,88,742, which translates to Rs. 92,958 a day. Mr. Nirupam said: "If the cost of tea is Rs. 5 per cup, then 18,591 cups of tea was consumed - if we are to go by the figure. "If there are 252 working days in a year, taking into account holidays and weekends, then Rs. 1,32,801 was spent on tea per day. And if the cost of tea is Rs. 5 per teacup then 26,650 cups of tea were consumed, according to the RTI information, Mr. Nirupam goes on to calculate. "It's a scam. How is it possible that so many cups of tea were consumed?" said the Mumbai Congress chief, demanding an investigation into the "chai pe kharcha". "Tea was not served but only bills were generated," he alleged. The BJP retorted that the increased spending on tea was a measure of the Chief Minister's greater popularity compared to Congress ministers in the past. Besides, it's not just tea, added BJP leader Ram Kadam. "This amount includes the cost of tea, snacks, bouquets, and mementos for guests who visit the Chief Minister," he told reporters. Mr. Kadam offered another reason for the hike in tea bills for the Chief Minister's office. "Earlier all departments used to pay for tea and snacks expenses for meetings. Now for all meetings held in the CM's office, the bills are paid by the CM's office," he told reporters. The CBI also registered cases against four directors of Agro Tech Company in Gurdaspur Mandi and a private firm in Pathankot. The Central Bureau of Investigation has registered two cases against at least eight directors of private companies based in Punjab and other unidentified persons and public servants on the charge of bank fraud. The CBI action came on a complaint filed by Bank of India regarding cheating to the tune of Rs. 61.01 crore and Rs. 28.30 crore. Two accused Directors of Nangli Rice Mills Private Ltd, in pursuance of a conspiracy, induced the bank to sanction credit facilities on the basis of fabricated stock statements, balance sheets and later cheated the bank without repaying the loan," the CBI said in a statement. The CBI also registered cases against four directors of Agro Tech Company in Gurdaspur Mandi and a private firm in Pathankot. "Searches were conducted on Thursday at various locations, including Hoshiarpur, Gurdaspur, Amritsar, and Pathankot, which led to seizure of incriminating documents," the agency added. Chouksey was produced before a Central Bureau of Investigation (CBI) court here which sent him to judicial custody till Saturday. The CBI has arrested Bhopal's L.N. Medical College Chairman J.N. Chouksey in connection with admission irregularities pertaining to the Pre-Medical Test 2012 conducted by the Madhya Pradesh Professional Examination Board or Vyapam, an official said on Thursday.Chouksey, who was on the run after being chargesheeted, was arrested on Wednesday from his house here. He was produced before a Central Bureau of Investigation (CBI) court here which sent him to judicial custody till Saturday. The CBI move comes after a trial court issued a non-bailable arrest warrant against Chouksey, whose application for anticipatory bail was rejected by Supreme Court on March 6. On March 8, the Madhya Pradesh High Court granted bail to Ajay Goenka, Managing Director of Chirayu Health and Medicare Pvt Ltd and four others who were chargesheeted in the same scam. The CBI had filed a supplementary chargesheet in November. In its chargesheet, the CBI alleged that L.N. Medical College conspired with Chouksey and other co-accused and provided wrong information to the Director of Medical Education (DME) in Bhopal regarding the admission of a co-accused candidate whereas he was already a student of MBBS 2011 batch in Patna. The medical college had reported to DME about only five vacant seats for second round of counseling whereas more than 40 seats were vacant. "It was further alleged that the medical college took more than 40 admissions on September 30, 2012 when the process of counseling was already over. The college, in connivance with DME officials, forwarded the list of admitted students to DME, which was different from the allotment list of DME," a CBI official said. The CBI took over the investigation of the case from police in July 2015 on a Supreme Court order. The Enforcement Directorate or ED filed a criminal case under the PMLA based on a CBI FIR against the company and its directors. The Enforcement Directorate has attached assets worth Rs. 603 crore of a Chhattisgarh-based company in connection with the money laundering probe in the coal blocks allocation scam. 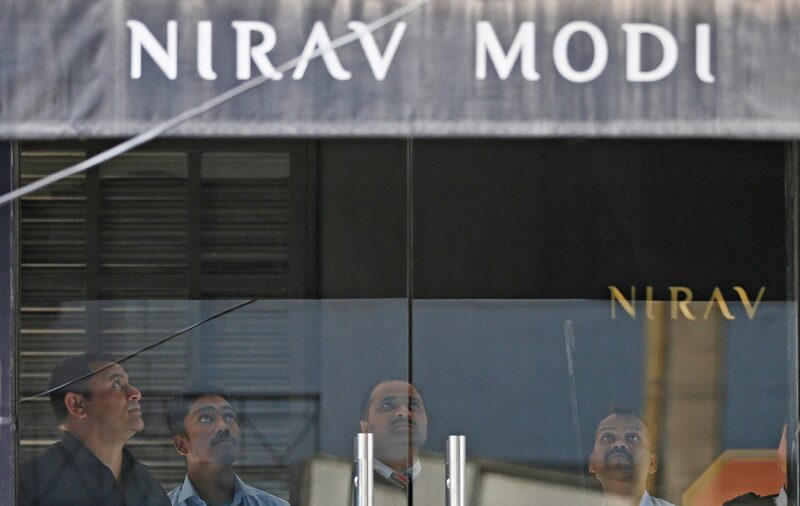 The central probe agency said it has attached, under the Prevention of Money Laundering Act or PMLA, factory building, plant and machinery and 23 acres of land belonging to Ms Vandana Vidyut Ltd located in Katghora area of Korba district in the state. The Enforcement Directorate or ED filed a criminal case under the PMLA based on a CBI FIR against the company and its directors. The Directors of the company -- Vinod Kumar Agrawal, Gopal Prasad Agrawal, Prahalad Kumar Agrawal and authorised signatory of the company Ambrish Kumar Gupta -- misrepresented and concealed facts in order to qualify for coal block allocation process and fraudulently obtained the allocation of Fatehpur East coal block in Chhattisgarh, the ED said in a statement. The company --Ms Vandana Vidyut Ltd -- in order to claim the allocation of the coal block "fraudulently" stated the net worth of its group of companies instead of its own and also concealed the fact that another coal block was allocated by the Coal ministry to its group company Ms Vandana Global Ltd, the agency alleged. It said that the 35th Screening Committee and the officials of the Coal ministry did not follow the guidelines and recommended the allocation of the Fatehpur East Coal Block to the company. The ED is probing the coal blocks allocation case along with the CBI. This is one of the single largest attachment of properties order issued by the central probe agency under the PMLA. The Enforcement Directorate (ED) today attached assets worth Rs. 2,300 crore, including two dozen hotels and resorts, in connection with its money laundering probe in the Rose Valley ponzi scam case. Officials said the agency issued a provisional order, under the Prevention of Money Laundering Act (PMLA), attaching 11 resorts, nine hotels and few other such facilities, a plot of about 200 acres and 414 land parcels spread across West Bengal. This is one of the single largest attachment of properties order issued by the central probe agency under the PMLA. With the latest action, the total value of assets seized in this case stands at about Rs. 4,200 crore. The ED had registered an FIR against the firm, its Chairman Gautam Kundu and others in 2014 under the Prevention of Money Laundering Act (PMLA) Kundu was arrested by the agency in Kolkata in 2015. Multiple charge sheets have been filed in the courts in Kolkata and Bhubaneswar by the ED in this case. The group had allegedly floated a total of 27 companies for running the alleged chit fund operations out of which only half-a-dozen were active.The agency has alleged that the firm had floated the scheme promising inflated returns on investments between eight and 27 per cent to gullible investors in various states. The company had allegedly pledged astronomical returns to depositors on land properties and assets and bookings done in the real estate sector. The company has also been accused of making "cross investments" in its various sister firms to suppress its liabilities towards investors. The Securities and Exchange Board of India (SEBI) had probed the company before the ED and the CBI registered cases against the group. The ED has pegged the total volume of the alleged irregularities at Rs. 15,000 crores, including interest and penalties. In August last year, angry depositors of Rose Valley's various schemes had ransacked a hotel owned by the company at a prime location in the city, demanding their money back.